With the huge rise in Designer children’s wear hitting the market, it was only a matter of time before the kids had their chance at strutting the runways. In recent years we have seen everyone from Armani and Versace to Galliano and Jean Paul Gaultier produce children’s lines for the Fashion set under 12. The rise in children’s fashion was first introduced years ago by Vogue Bambini which editorialized children’s wear in the same high regard as their Italian Vogue counterpart. Many more European children’s fashion magazines have popped up in the last few years including France’s Milk and Enfants Magazine and Germany’s Kidswear magazine. Leading this trend has obviously been European designers who have always garnered the majority share in the luxury market. Dressing children in head to toe trends has been rapidly expanding with mass market retailers all over the world producing trend right clothing for kids. As the target age for fashion consumers gets lower, brands all over the world will want a piece of the pie. 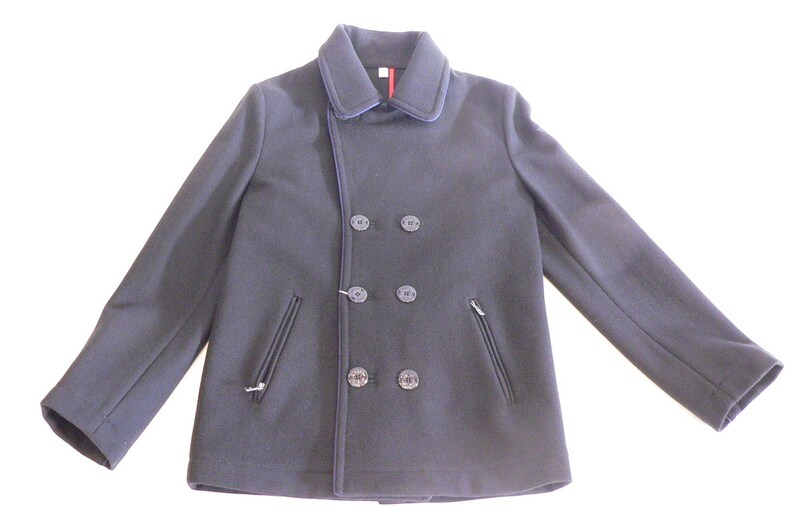 The cost of this designer kidswear is anywhere from $100 to a $650 Armani peacoat seen below. September 10th and 11th, 2010 will mark one of the most important and exciting occasions during NY Fashion Week—the first-ever petitePARADE, a runway showcase created exclusively for the children’s market. The event will be held at the acclaimed Metropolitan Pavilion in New York City for an invitation-only audience of media, buyers, mini-fashion mavens and celeb-u-tots. The event co-founders Aleksander Stojanovic and Tiziana Indelicato organized petitePARADE to fill the void in the industry and to create excitement and high-profile coverage of this growing market. “This event gives children’s wear designers a valuable vehicle to establish a presence and reach an untapped audience,” says Stojanovic and Indelicato. All shows will be held at Metropolitan Pavillion South and sponsors include New Grass, Jana Water, Fisher-Price, Hiho Batik and Giggle. 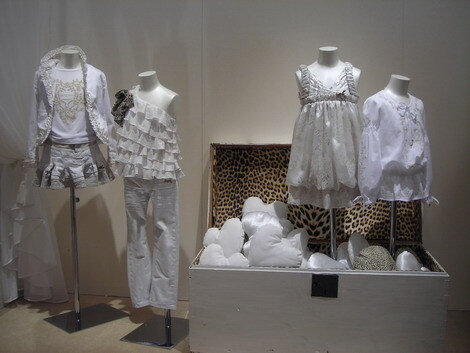 On-site activities for children will include: the Edun organic t-shirt workshop station by Plaworkgroup. Put your creativity to work while having fun by designing your own original petitePARADE tee to be auctioned off at the shows. The proceeds will be donated to Soaringwords, an online support network for sick children and their families. Also, installations from Not Rational (high-end diaper bag collection) and Unoemezzo Tea. Also on hand Friday night will be Zappos CEO Tony Hsieh, and newly #1 New York Times best-selling author of ‘Delivering Happiness’ . The Delivering Happiness Bus Tour is traveling to over 20 states on the ‘Inspire and Be Inspired Tour,’ and we are proud to have Tony and his crew bring ‘Happiness’ to this very special event. Stay tuned for a Sche Report Runway recap from New York City’s first petitePARADE! I would love to know when the next children’s fashion show is and how I can get my child involved in it. You can contact Gina Rizzo at ginarizzo5@gmail.com to find out more about next season’s presentations. Thanks for checking out my blog and please continue to check in for more trend forecasting and fashion direction. @Gina- My 5 year old daughter was one of the model’s in who walked the runway in this years Petite Parade Fashion Show. All of the kids in the fashion show were professional models booked through their agency or the stylist. Professional models are almost always used for Fashion Shows. I would recommend submitting your daughter to NYC based modeling agencies if you are interested in getting her involved. Without an agent/talent manager it is almost impossible to break into the world of kids high fashion modeling. We wish you the best of luck!